With Halloween just around the corner, most people’s October planning usually consists of two main aspects – costumes and catering. Dressing up is easy, as a quick Google of your favourite spooky movies will bring up a host of horrific character ideas. Catering your very own Halloween party, on the other hand, can be a bit of a challenge. You’ll need to consider the age range of your group, the number of guests you’re expecting, and of course the dietary requirements of everyone intending. 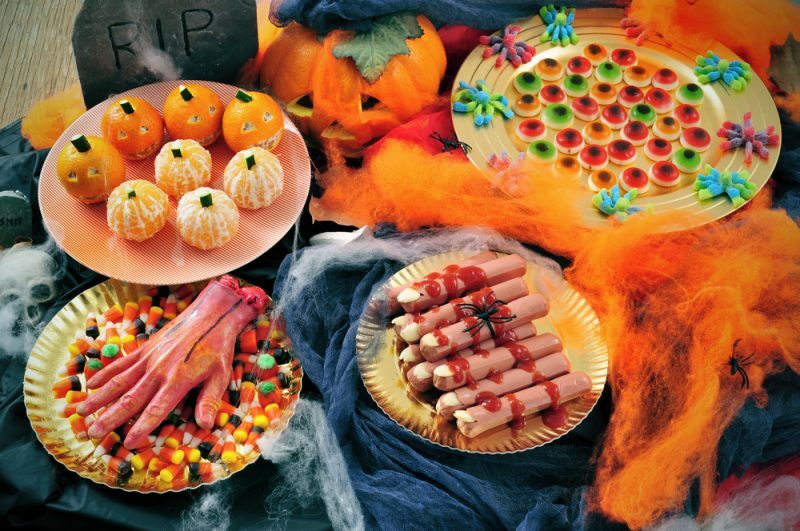 Luckily, help is at hand, in the form of our top Halloween catering ideas. The following menus are tailored for success, whether you’re hosting a small night in, or a sizable shindig. If you’re having a Halloween night in with a handful of friends, chances are you’ve got a horror movie marathon planned. In that case, a monstrous selection of nibbles is the way to go – perfect for people to graze on in between all the jumps and scares. Most supermarket confectionary aisles will be bulging with horror-inspired sweets and treats, but if you want to give your guests something a little more personal, there are plenty of options. Pick up some horror themed biscuit-cutters – favourites include bats, ghosts, and bones – as these have multiple uses when it comes to whipping up Halloween themed snacks. As well the obvious biscuits, why not cut spooky shapes from cheese for an inventive crackers selection, produce some mini pizza-pastries, even make melon slices if you’re trying to be healthy. For anyone having a house party with a larger guest list, you may want to put on a more substantial spread to make sure your peckish guests are well fed. You’ll probably want more than just snacks and nibbles for your party, so fire up the oven and try the following ideas. Supplement the nibbles mentioned in the previous section with some larger spooky savouries to make sure that no-one tackles the punch on an empty stomach. Try making homemade sausage rolls with pastry cut into strips for some mummy-style bangers – just add a couple of mustard dots for eyes to really creep out your guests. For a vegetarian option, just hollow out some red and green peppers, carve them with jack-o-lantern designs, and stuff with rice or couscous for a terrifyingly tasty snack. And remember, no Halloween house party is complete without a bucket of apples ready for bobbing. If you’re planning an epic event this year, and you have a large number of guests to cater for, then Halloween is the perfect opportunity to bring out the wow-factor. Ordering a stack of pizzas is the usual option, or you could spend your entire party chained to the oven, but there is a better option. Treat your guests to a truly unique Halloween experience, and free yourself from the kitchen, by surprising everyone with a mouth-watering hog roast. Here at The Roasting Pig, we specialise in catering events of all sizes, and each whole roasting hog we provide can feed up to 50 hungry guests. Suitable for both indoor and outdoor gatherings, you’ll enjoy a delicious roast, prepared by a fully-trained chef, leaving you free to enjoy your party. Choose the menu that’s right for you, with pork, beef, lamb and rotisserie chickens all available, as well as vegetarian options. We can also offer a range of sides, sauces and sundries, and can even plates, cutlery and napkins if required. 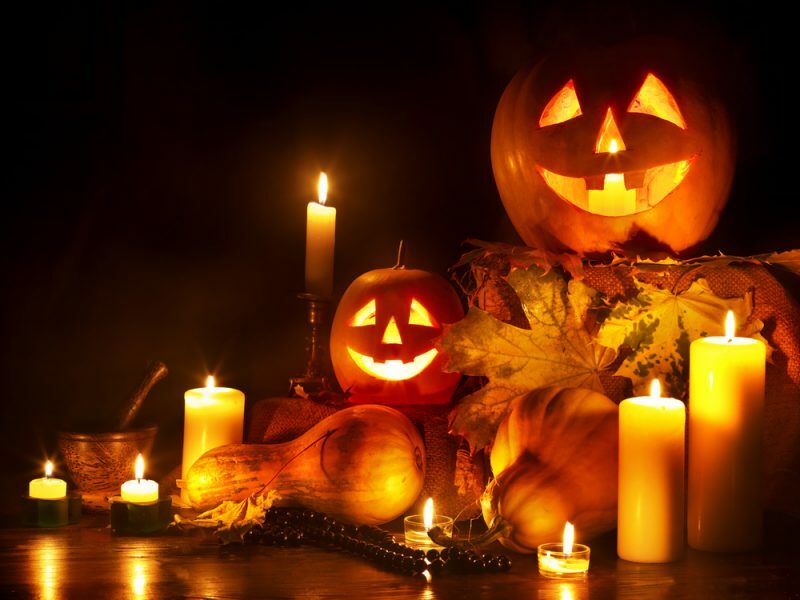 If you’re planning a Halloween party in the Midlands, and you want to ensure your gathering is still being talked about in months to come, contact our friendly team today to discuss your requirements and request a free quote.